There is much brouhaha about Search Engine Optimization (SEO) these days as there is cut-throat competition in every sector. In all of this and among all Digital Marketing techniques, SEO can be the best possible way to get the needed mileage. An SEO campaign can help you to reap the benefits of “natural” or “organic” traffic. So, the moot point remains, what is SEO and how it works? Before we know how it works and how to get started, it is essential to understand what SEO is? 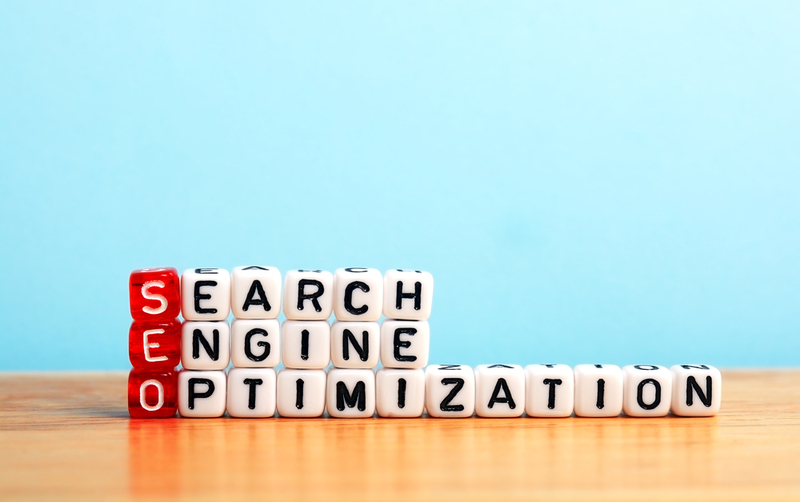 To put it in a layman’s language, SEO is a digital marketing technique of improving the ranking of a website so that it enjoys a good rank in a Search Engine Result Page (SERP). Search engines like Google, Bing and, Yahoo work on an algorithm so that it determines the ranking of each page or a website. Users tend to visit the first few sites after a search. Sites that satisfy those algorithm criteria enjoy a higher ranking and hence get more traffic and better revenue. Those that don’t are ranked lower in order. Therefore, for getting a good ranking on a SERP, the algorithm conditions have to be met. That is the whole exercise behind an SEO. You can also perform an SEO if you understand the concept and follow all guidelines. However, an SEO can be primarily of three types. White Hat SEO refers to all the ethical processes, and it adheres to Google Webmaster Guidelines. It has very few risks associated with it and can deliver a long lasting result. However, on the downside, it may take some time to show positive results and the cost involved in it can be a bit more. Black Hat SEO can fetch you fast results, but it will not be sustainable in the long run. It is because it takes the help of shortcuts that may also be unethical. Google updates its ranking algorithm nearly 500-600 times in a year, and when they find out a Black Hat SEO, there can be some drastic action from Google. A website or a content may also get banned! It falls somewhere in between the above two SEO techniques as the tactics that Gray Hat uses is not listed in Google Webmaster Guidelines. While employing the search engine optimization technique, stay a bit cautious. In a way, it may also be undesirable, but there is no concrete proof to either declare that or embrace the process. In the following sections, we will try to understand some other concepts related to SEO and how to get started with an SEO campaign. First and foremost, before beginning SEO, it is imperative to understand where your site stands. This way, you can get a fair idea and appreciate your source of traffic so that at a later stage you can make modifications accordingly. After you start the SEO process, continue monitoring the search ranking. You can quickly get the rank of your page using tools such as Google or Alexa toolbar. Also, keep an eye on the referrer log regularly. You will be able to know what is driving the traffic to your site or where they are coming from and what are the most common search terms that people use to find it. All over your site, “plant” proper keywords strategically. Whether titles, URLs, content, image name, etc., everywhere the footprint of keywords should be available. Keywords are nothing but types of search terms that we have mentioned above. Here, you have to understand one thing that how will a person look for information on a subject and search it on a search engine? Answering this question will lead you to the relevant keywords of your use. There are a few more areas where you need to insert your keywords without fail as that will help in your SEO efforts immensely. It includes the page header and the title tag so that it will have the maximum impact during an online search. At the same time, there is a caveat. Putting a large number of irrelevant keywords can be damaging and then, you may fall into the ‘spammer’ category. Search engines spiders work in such a way that they tend to ignore those websites that are full with “keyword stuffing.” Therefore, strategize your moves before placing keywords. It is in a way, analogous to tight-rope walking so that if you miss your steps, you will fall down and at the same time, you will not be able to run on a rope! Therefore, you have to be steady and analytical in your move. On-site linking is nothing but linking yourself back. In this step, you have to integrate the links in your site. You must pay attention here on the content, HTML, etc. and bring in the changes that can work in your favor. It is a very fundamental approach of any search engine optimization campaign that will help to increase the traffic flow to each page of your site. At the point of time when you plan to create new content on your site, try to provide a link so that your archive pages also get linked and then they will always be visible. Also, try to create a search-engine-compatible anchor-text. It will help you massively because when a page has more relevant words, the chances of it showing up becomes more when people try to search with those search terms. Like any other SEO aspect, make sure that the links are relevant and in all circumstances, try to avoid excessive linking. After all, you will not like visitors to feel inconvenienced in any way. Hence, this is the whole idea behind linking so that it can be useful for each page of your site. Many websites do not have a sitemap. Such sites can be a bit tedious to work with because search engine spiders may not be able to find everything in one place. Therefore, it is imperative that you make a sitemap. It is a type of page listing using which you can create links to all other leading pages of the site. In this way, it will be easier for search engines spiders to locate a site and search it quickly. Visitors to any site always desire to get to a page of their concern so that they need not explore recklessly and the whole user experience can stay pleasurable. If URLs have specific keywords instead of numbers, that can be very useful during an SEO campaign as a search engine can readily retrieve it after a search. It will also be easy for visitors to understand and if they need, they can save the link. As an example, it is easy to comprehend ‘www.firstcry.com/diapering/pampers,’ and search engines and a visitor will know what is there in it. Instead, if an internal classification of the business is used, like – ‘www.firstcry.com/10684/p482.htm’ – it can be tedious to understand. In the same way, a dynamic URL can also be confusing like ‘www.firstcry.com/search/?p=” diaper”‘. It is a tiny aspect but can make a big difference to a campaign so that results can vary significantly. Frames and Flash may look glossy and attractive on a website, but they do not serve any practical purpose in a Search Engine Optimization process. There is no use of them in the campaign, and therefore it is better not to use them as far as possible. It is because you cannot link Flash or Frames to any page in an SEO. Hence, to get the best result, try to use them as less as possible. A Search Engine Optimization campaign also focuses on graphic images but not on the image itself. Search engine spiders are capable of searching text, but they cannot search text within images. Due to this reason, a word connected to a picture should be as much descriptive as possible so that a picture will be easy to understand by the spider. An excellent idea to achieve this is, to begin with, a picture name. For every picture on the site, introduce an “ALT” tag so that you can easily incorporate a description that will have a sufficient number of keywords in it. It is one of the best ways to represent an image on a site while keeping the essence of search engine optimization intact. The text near the pictures can be beneficial for an SEO campaign. You can give captions to all the images and describe them adequately. Make descriptions in a way that they stay very close to the picture that can be useful during the SEO process. Content forms a significant part of a Search Engine Optimization Process. In fact, within the SEO industry, there is a famous saying – ‘Content is King’. Hence, you can understand the level of importance for content. The content of your site should be crisp, fresh and exciting. You must also ensure that the content on the site is regularly updated. This point is very crucial for increasing the traffic substantially. You can yourself find out from your experience that you tend to visit those sites comparatively more whose content is generally updated and the one that provides relevant information related to a product, service or discipline. Similarly, search engines also like to visit such sites more often, and they can get a clear preference during a search. However, if you cannot provide fresh content on your own, you should not worry about it. A straightforward way to procure new content is to link it to a regular blog. If you or any other top-level person in the company is a blogger, that can be very helpful for the site in three ways. You will start getting quality internal and external links, while at the same time, the site will provide you with a more personal platform. There will be better coordination, and you can always come to know of market sentiments regarding the brand. It can be one of the best ways to reach out to your customers, staff or any other stakeholder. In the process, you get content as well as help the site create the needed links. A working social media strategy is very important these days for an effective SEO job due to the massive reach of the medium. Here, we will look at some ways in which you can achieve it. The blog that we spoke above is only an aspect of social media outreach, and it is an integral part of a search engine optimization campaign. Share internal links of new content on your site through the different social media channels like Facebook, Twitter, Instagram, Google+, etc. Sharing links through social media is one of the best possible techniques as it gets strewn all around and visitors can see the links at numerous places whether it is on your company’s account, retweeted or recommended. The numbers can multiply substantially so that the reach will enhance significantly. This component of search engine optimization is also very crucial. You can achieve it as follows. Get maximum external links by link building, social media, etc. Your equation with webmasters can also play a vital role in this step. One of the best ways to achieve and get more traffic is by establishing “bonding” with other sites. If you can create a harmonious environment so that a relationship develops between you and many other sites, that can be very useful for off-site linking, and you can get some valuable links through the process. If you can get a reference on some well-reputed site, that can do wonders. Similarly, you will also need to return the favor so that everyone wins in the process. After taking a look at all the processes involved in a search engine optimization, you will feel a lot satisfied now because you know how to start the whole process. It is also the same way in which Google gives a search result. It uses automated robots called spiders to list out all web pages, image files, etc. for possibly including them in their large indexes. Algorithms evaluate each web page and determine whether it can take it into the index by finding out if a file has sufficient unique value in it. If a file makes it to the index, then only the algorithm will display a web page depending on the purpose of a user’s query. Therefore, to summarize the whole process, keywords are significantly followed by an on-site linking and a sitemap. After that, the main focus is on the content, and once you achieve it, you win more than half the battle. You only need to have an excellent social media outreach coupled with external links. If you can perform these steps correctly, you can surely expect your SEO job to get the planned results. However, it is equally valid that an SEO campaign can be extensive and results may take some time to show. In the meantime, you can keep an eye on the performance of the site, and if you feel that any modification is required, you are always free to make those changes.